You may remember that each year (2012, 2013, 2014), roughly around Valentine's Day (and once in the Summer!) we get together with our fellow independent lingerie brands for a Love Bomb! It gives us a chance to tell you all about our favourite fellow brands, encourage you to shop with independent and small businesses, and to give you a cheeky little discount too. Each brand came up with a word that describes what they love about lingerie, or how lingerie makes them feel! Make sure to visit our facebook page, where we will be releasing an image each day for each brand. Each brand has also offered a discount for the entire week (expiring on 15th)! Playful Promises - 20% off with code "LOVEBOMB2015"
Ayten Gasson - 15% off with code "LOVE15"
Kiss Me Deadly - 20% off lingerie only with code "LOVEBOMB2015"
We do love to be beside the seaside! There is little that is more British than fish and chips at the seaside (unless of course you have Johnny Rotten holding butter in one hand and a Bulldog that is chewing on it's Union Jack sweater in the other and have written "KEEP CALM AND CARRY ON" in the sand). Us Brits just love a bit of twee (and tweed), so it's no wonder the Great British Holiday is coming back in fashion as a "retro" thing to do. 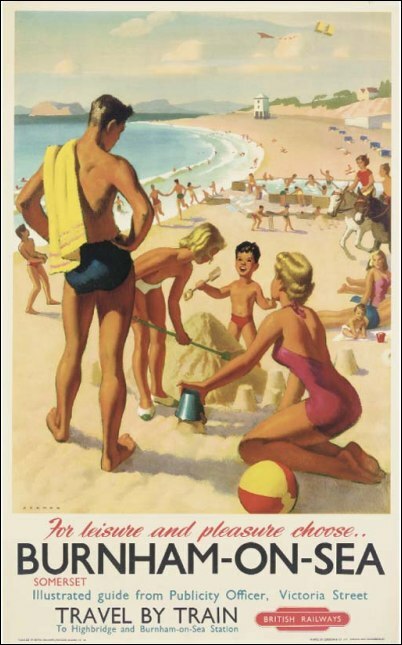 Clever marketing from the Government or not, we can't say no to holidaying by the British seaside. You require balls of steel to go in the water, but who needs water anyway! 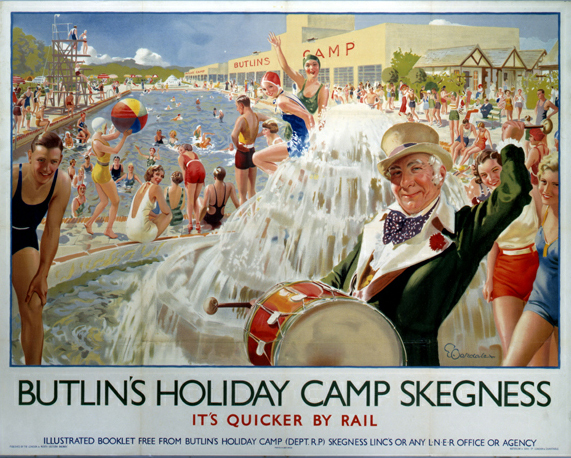 This lovely warm weather has made me lust for my holiday getaway (my parents live in Cornwall), and these amazing vintage British holiday posters almost make that 6 hour train journey sound like a bundle of fun! So where will you be holidaying this summer? Are you jetting off to a distant land, or staying in old Blighty? And what about our overseas fans? Wherever you galavant off to, make sure you have you Playful Promises swimwear packed and ready!